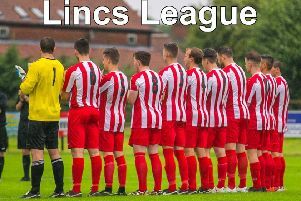 The Caistor Tuesday League showed its customary competitive spirit last week as a total of only six goals in four games showed how evenly-matched the teams are. Grey And Young Ones and Christies Youth battled out a hard-fought 0-0 draw with JJ Chauhan the man-of-the-match as the mid-table teams shared the points. The bottom two went head-to-head and Bottom Of The League were delighted to grab only their second win of the campaign with a well-worked 1-0 victory over Crusaders. Harry Cearns was the difference in a close match-up. Young Prospects pulled off a fantastic result by taking a point off leaders CTFC in a superb match-up. The game ended 1-1 thanks to a masterclass from Dylan Moss. NK Dons battled valiantly, but fell to a 3-0 defeat against reigning champions Caistor Techys. The win moved Techys to within three points of pacesetters CTFC.